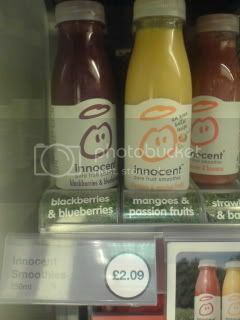 found these poor bottles of innocent smoothies in bournemouth train station. not surprised they are unsold as they cost £2.09!!! !